SEOUL, Oct. 23 (Yonhap) — Change and transformation are mantras that many of today’s K-pop artists try to abide by — either through drastic shifts in imagery or artistic vision. But there are also those who remain loyal to their own tried-and-true shticks and sounds over and over again. 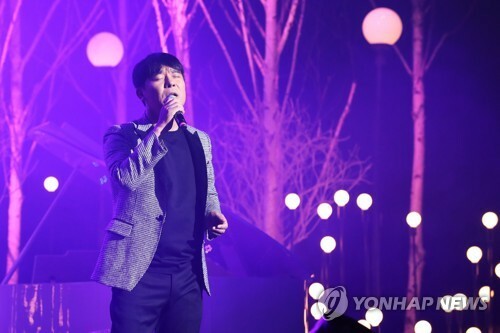 Im Chang-jung, the ’90s singer-actor who made a stellar comeback to music in 2015, on Monday released his latest EP album “Do You Know This Person” and it doesn’t betray his past brand of drama-filled ballads about emotional heartbreaks and ill-fated relationships. “I always see myself as trying to transform. I try using this and that type of new chords. I tell myself ‘It sure sounds different’ when writing new music but ends up sounding similar to my past work after the mixing process,” Im said during a media showcase for his new album at Blue Square Hall in central Seoul. Im boasts a prolific discography, having released 13 full-length studio records since his 1995 debut. But his presence in the scene swayed in the late 2000s from his focus on acting as well as the K-pop’s so-called “second-generation” idol groups flooding the market. But in 2015, Im’s “Love Again,” an unassuming ballad EP record, became a hit, with the song dominating streaming charts and TV music show. His 2016 record “I’m” also stormed the charts. Im’s latest EP album includes three new songs, including title track “Do You Know This Person,” a standard, by-the-numbers ballad piece that progresses along a piano and string orchestral arrangement. While Im’s work is notorious for being hard to sing — prompting viral challenge videos of people trying to sing them in karaoke bars — “Do You Know This Person” is relatively easy to sing along to, according to the singer. Also on the record are “Ask Me Not To Leave,” a duet number with rookie singer JNIQ, and “The Reason To Pull You Out,” a ballad number that doesn’t veer too far from Im’s past ballads. He’s made sure that instrumental versions of all three songs are included, as to allow fans to be able to practice the songs. 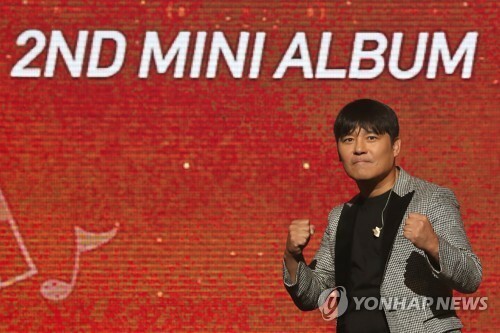 While the 45-year-old industry veteran is hoping to shine on the charts for the third-consecutive year, Im also said he’s content with merely satisfying the needs of his fans. “I admit that I want to do well on the charts. But even if I rise to No. 1 or not, I’m doing this because of the fans who desire my music and react to when I put out new records. If they’re satisfied, then I’m satisfied,” said Im.